If you’re looking for a tablecloth to brighten your day, this is it. 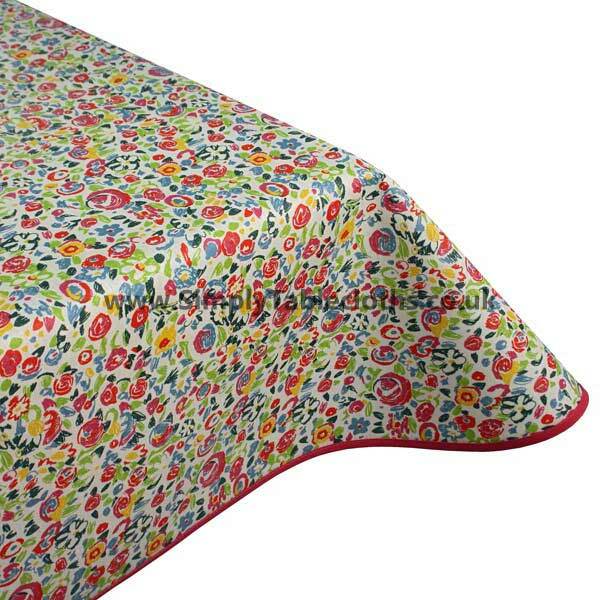 Featuring a busy floral design full of vivid colours, this Teflon coated tablecloth is like a rainbow in on your table. 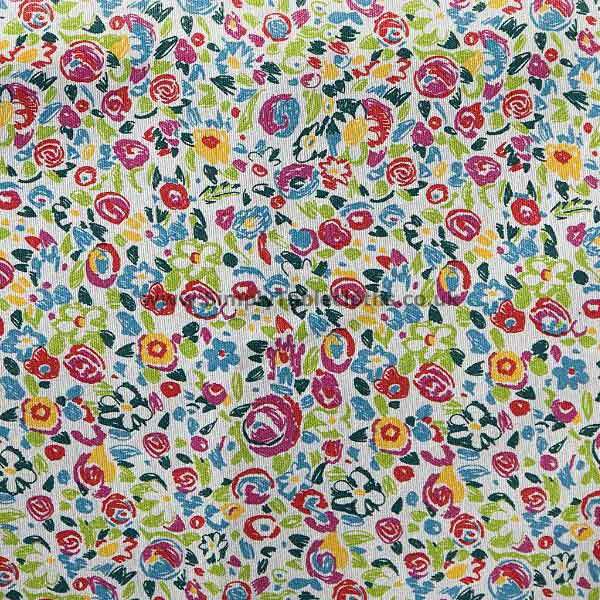 The small scale print keeps it from being over the top, while still radiating light and happiness. Durable and easy to clean, just wipe the surface to take care of any spills.